Villa Limonar can only be described as spectacular from just about every standpoint. The huge 5,000 m2 beachfront plot and 500 m2 villa, built in Mediterranean style, has the best sea views across the Mediterranean towards Gibraltar and Africa. Direct access to the beach, dining terrace, pool-house with fully fitted kitchen, bar, fridge and barbecue, an enormous 28 m heated, walk-in pool with Jacuzzi, jet-streams and waterfall, are just some of the garden’s features. This villa enjoys wonderful first quality marble floors, wooden beam ceilings, and it fitted with A/C in all the rooms, fireplace, high-speed Internet and alarm system. 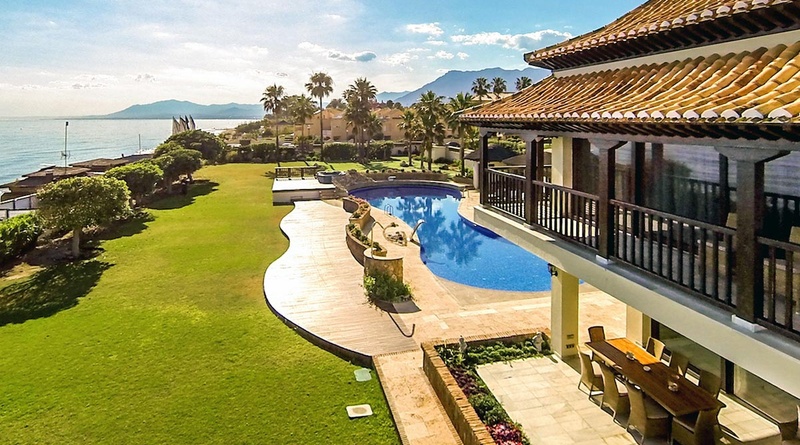 This exceptional villa is located in one of the best beaches of Marbella, right next to beach restaurants, close to golf courses, tennis courts and 5-star hotels.